Between days is a great time to do a bike check. DFT United's Louie Blair has some nice touches on his small TR-500 this season. 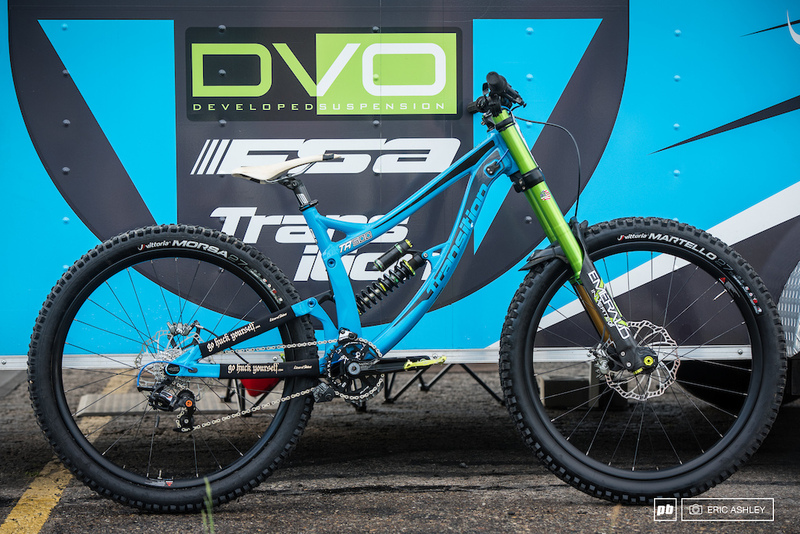 Custom DVO Emerald 180mm Fork, Glory Wheels DH Carbon protoype wheels, Magura MT 7 brakes, Vittoria tires, FSA Gradient prototype Billet 83mm DH crankset, Box Custom Billet short cage protype derailleur, and HT pedals. A short cage Box derailleur?? That's sick! !